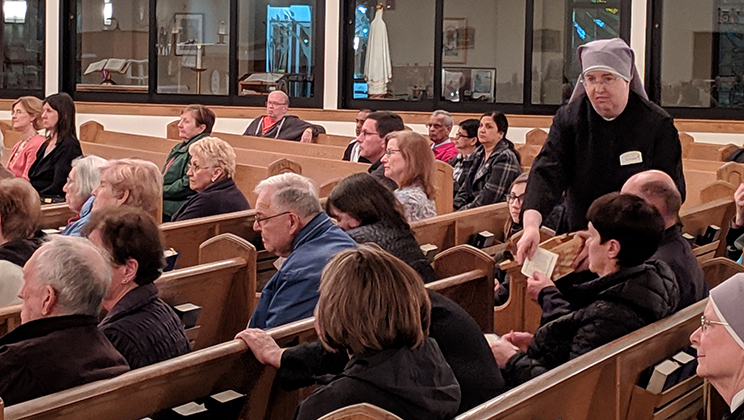 Sr. Julie shared St. Jeanne Jugan’s “Confidence in Divine Providence and Devotion to St Joseph” at the St. Theresa Parish Lenten Mission on Wednesday, April 3. Pastor and our good friend, Fr. 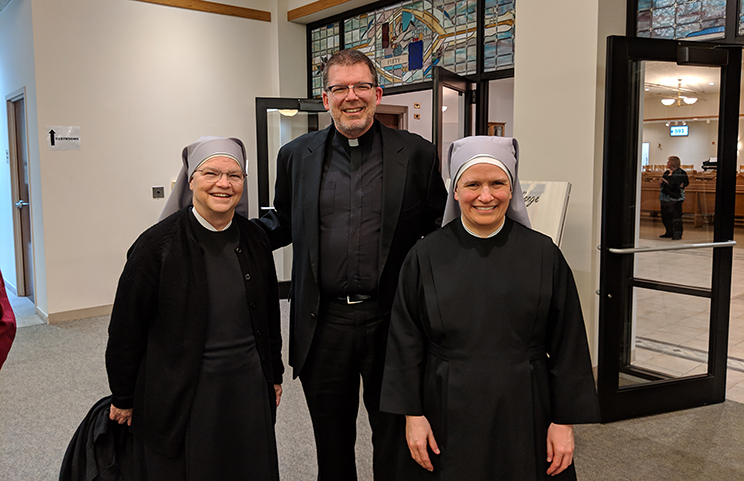 Tim Fairman introduced Sr. Julie, prefacing with “how fortunate we are to have the Little Sisters as a part of our Parish Family”. 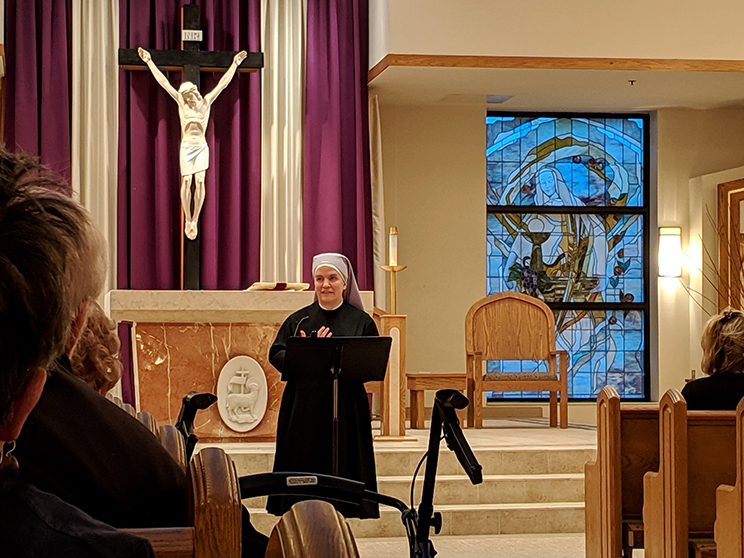 Sr. Julie began the talk by speaking of Jeanne Jugan’s early life and how God was “keeping me for a work which is not yet founded.” Sister went on to talk about the cold winter night when Jeanne Jugan met a blind and infirm woman named Ann Chauvin who had no one to care for her. Jeanne carried the woman home, climbed up the stairs to her small apartment and placed her in her own bed. From then on, Jeanne would sleep in the attic. God led more poor old people to her doorstep. Generous young women came to help. Like Jeanne, they wanted to make a difference. 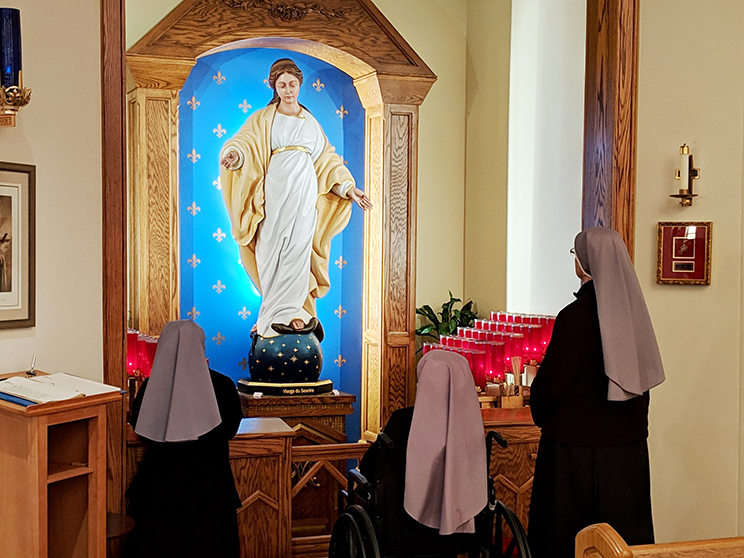 Like her, they believed that “the poor are Our Lord.” A religious community was born! 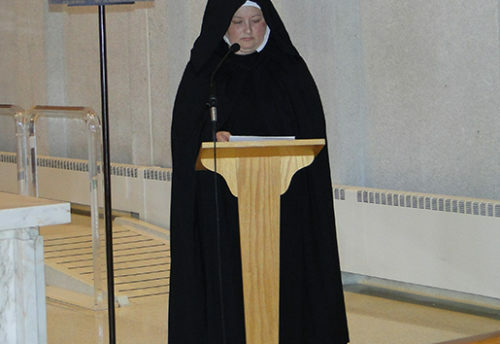 Sr. Julie spoke of Jeanne’s unwavering faith in God’s Providence and devotion to St. Joseph. Sister explained that the devotion continues today. 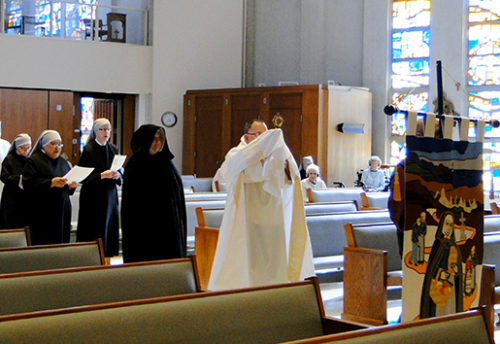 After her talk, all of the Little Sisters present handed out pocket statues of St. Joseph to all who attended. 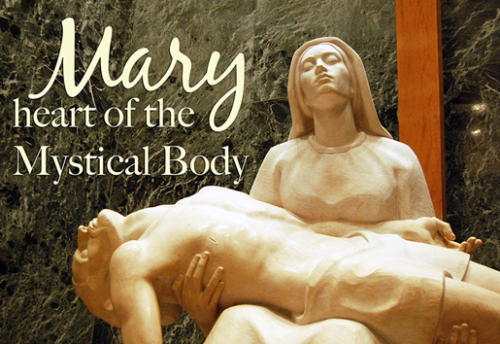 The statue is designed to fit in a pocket or purse – keeping St. Joseph close.